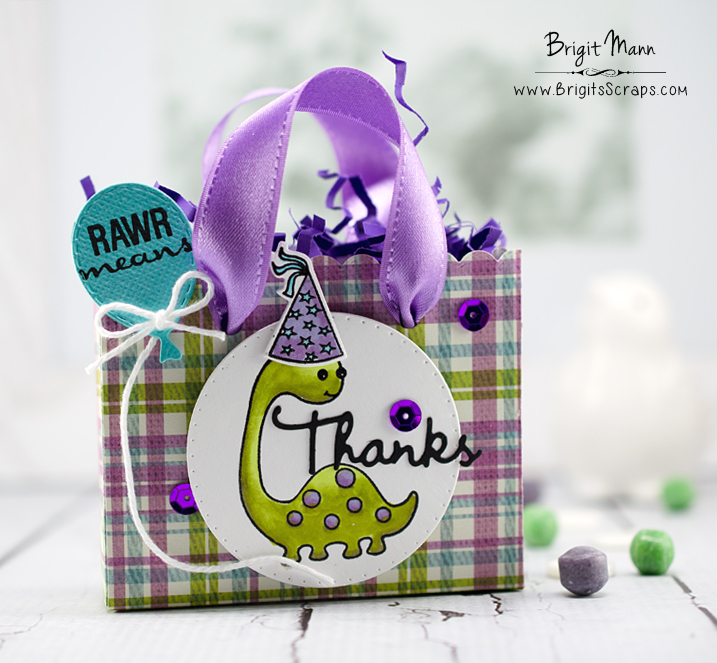 Oh Miss Brigit....what a super adorable gift bag!! I love too how the tag has Rawr Means......too precious. Love the purple plaid & ribbon you chose for your bag so beautiful and your tag is so cute...I love it..Your presentation is a WOW. Love the clever and creative ways you've used Miss Emma's goodies. YOU so ROCK!! This is just too cute, Brigit! I love the colors and the whole layout! Adorable! I like the balloon as a sentiment! OMGosg Brigit!!! Your treat bag is so freaking cute!!! LOVE!!! !